Massanka, who enjoyed his 19th birthday yesterday, was one of only three players in the starting line up who hasn't played first team football, and he was quickly on the scoresheet after Rochdale had taken an early lead through Nathaniel Mendez-Laing. We were level within a minute when the young striker turned to score from close range and he might have got a second only for a defender to get back and clear. It looked as though half time would come with the score at 1-1 but there were three more goals in the last five minutes of the half. Chris Long restored the lead after Fredrik Ulvestad's through ball was played into his path by Massanka. Rochdale equalised with just over a minute remaining but they then conceded a penalty which was converted by Michael Kightly. 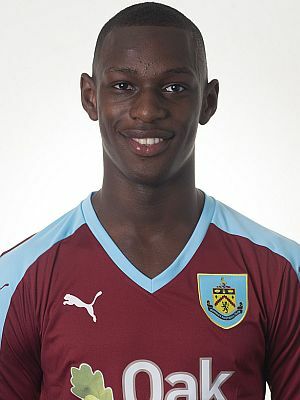 Massanka scored his second and our fourth in the second half after a link up with Long but Rochdale scored the last goal of the game but the Clarets were worthy 4-3 winners. The team was: Matt Gilks, Matt Lowton, Aiden O'Neill, Tom Anderson, Stephen Ward, Michael Kightly, Dean Marney, Fredrik Ulvestad, Matt Taylor, Ntumba Massanka, Chris Long. Subs: Conor Mitchell, Renny Smith, Josh Ginnelly, Jamie Frost.